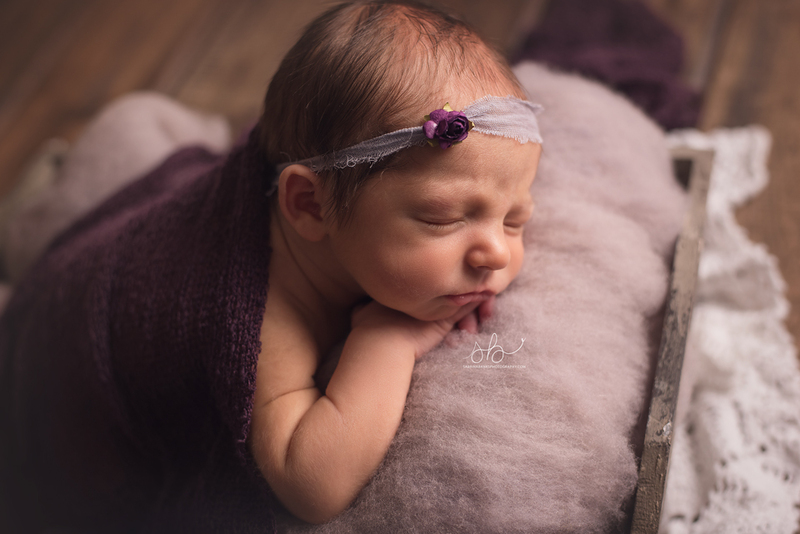 Little Miss Cora came to visit me on Wednesday for her newborn portraits. She was just a little ball of perfection! Only about 6 pounds and slept like a dream! Her big brother Graham (almost three) also came and he just loved to snuggle her and give her kisses. Sweetest thing ever watching older siblings love on their baby siblings. I know this sweet girl is so loved! 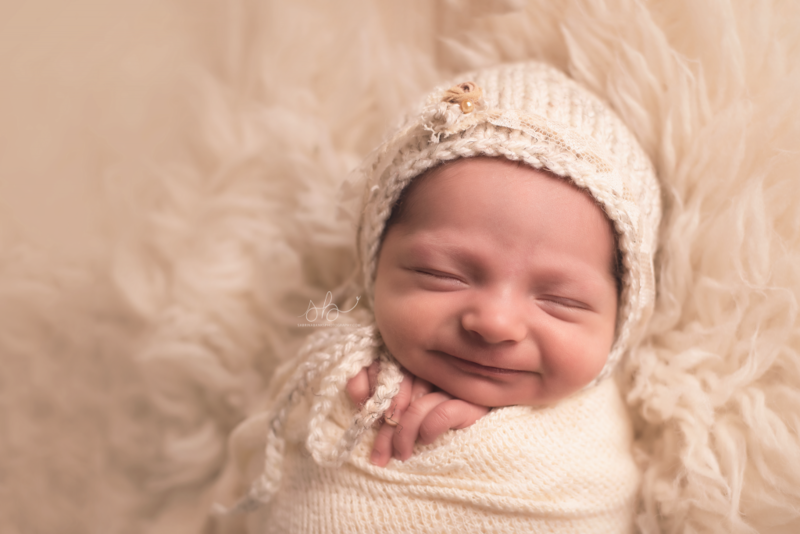 It is my absolute favorite thing to catch newborn smiles! It makes me squeal every time I import images and see that I was able to capture those sweet little grins for mom and dad! Momma doesn’t like pink so we did a lot of purples and peaches for Cora’s newborn portraits. She looks so dainty and petite! 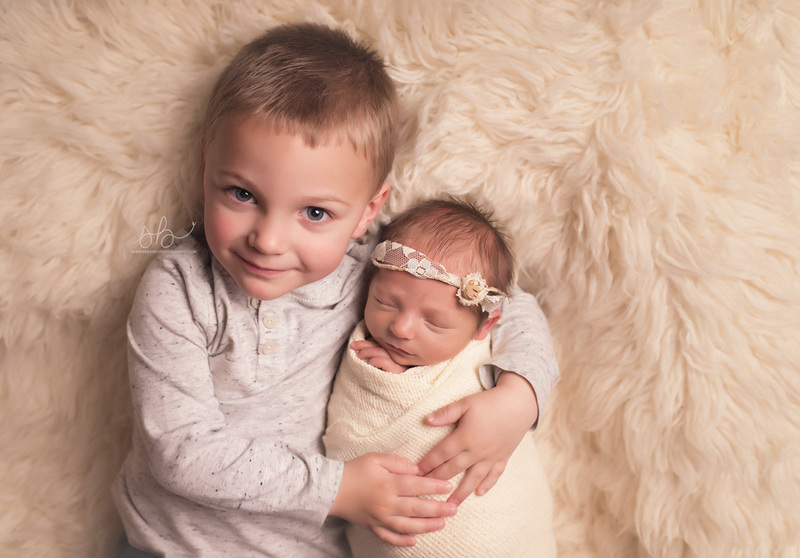 Sibling shots are some of the toughest to capture, especially when older siblings are 1-3 years old. Graham was happy to lay with his baby sissy. He did get a little wiggly but we managed to get some sweet images of the two snuggling up together! I’m sure some of mom’s favs! With having a toddler in the studio moms and dads usually take turns playing with them in the cool down/ play area. Momma decided part way through that she wanted the rest of the session to be a surprise to her. Mom didn’t know that I caught two smiles until she saw the sneak peeks! What a great surprise! This was one of the last shots of her session, and I’m just loving that sweet baby profile! What an honor it is to capture baby’s first family portrait. 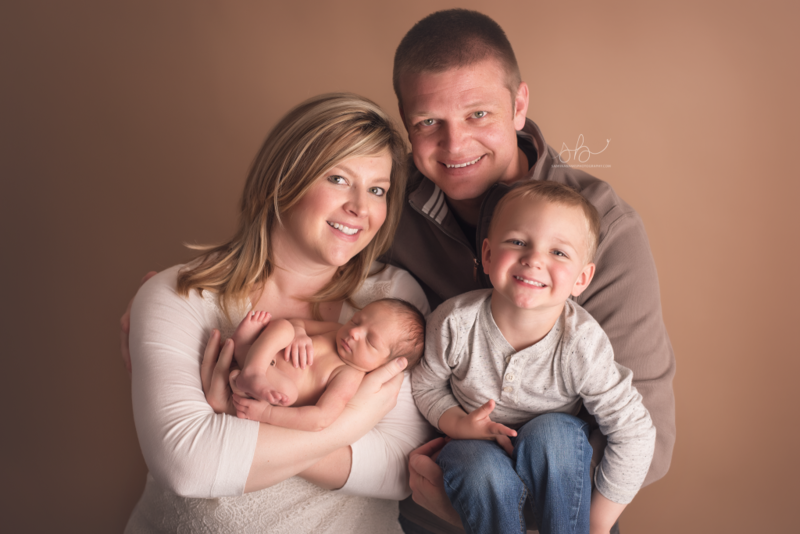 Such a beautiful new family of four! 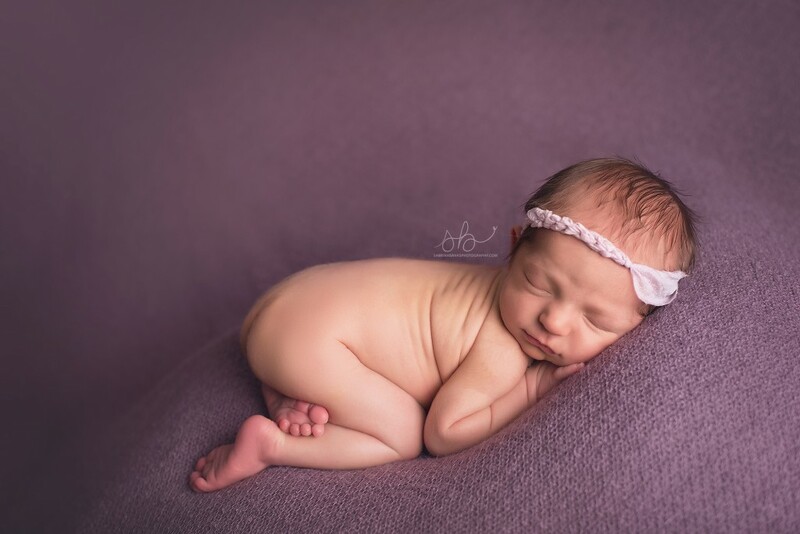 Thank you for choosing Sabrina Banks Photography to capture these fleeting first moments of your baby girl’s life! I am truly blessed and honored! These are just adorable, they will be cherished forever. Amazing photos. Wow! You are so talented! These shots are unbelievable! The cuddly shots and the smile shots are to die for. Great job! Oh my goodness, that little smile of her’s <3 !! 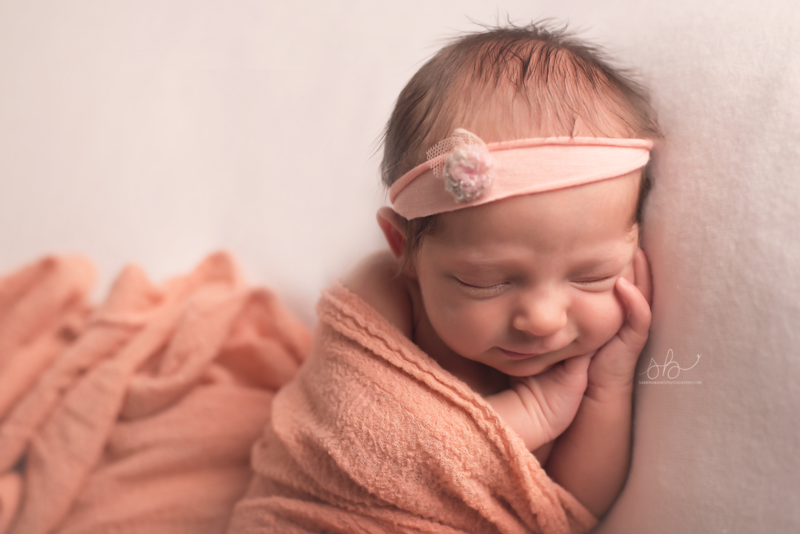 You rocked this newborn session and I'm know Mom & Dad will love them all! Absolutely adorable. They are so lucky they found you to do these gorgeous pictures to treasure forever. These are sooo beautiful! You did great work, what an adorable baby girl!! These are great shots that the family will treasure forever! I love the one of her smiling and the sibling shot! Precious! She is perfect and I love the one with big brother. So sweet! What a cutie! I love the one with big brother- he’s clearly super in love! I love the poses with big brother…in fact, I love them all! Well done, friend!